AG is a group of award-winning mid-tier accounting firms headquartered in Singapore with a presence in Malaysia, serving small and medium-sized business owners, multi-national corporations, listed companies and government corporations. Cost-effectiveness, efficiency and good customer service underlie the core value of our professional advisory services to our clients. If you want an accounting firm in Singapore who will not take shortcuts with your accounting, who will tailor-make a solution for your business, and who has been trusted and awarded for their expertise – then AG could be the right choice to provide all your accounting services. At AG, we offer you a full suite of accounting services as well as corporate advisory solutions that make us a “one-stop-shop”. 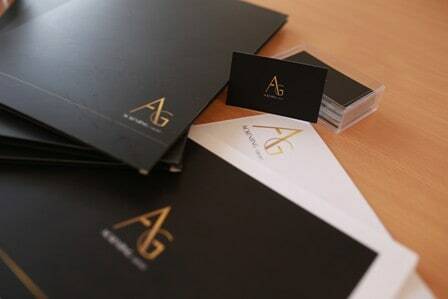 AG is one of the only accounting firms in Singapore that can serve ALL your business needs – 360°. Innovation is even in our name, “Ackenting Group”. “Ackenting” is a mixture of the words innovation and accounting. Our accounting services are preferred by many multi-national corporations and small- and medium-sized business owners who have an interest in Singapore. In fact,we have won multiple awards in our pursuit of excellence in accounting services. That’s because we provide the highest-quality accounting services for an outstanding price, we focus on hitting every deadline, and we take the time to understand your business thoroughly to save you time and money in the long run. AG solves problems. AG delivers results. AG creates innovation. Our vision is to become the greatest partner in the success of your business. Whether you are thinking of incorporating, need to conduct an audit and cut costs, or even if you are simply looking for more traditional accounting services – we’re the premiere accounting firm in Singapore, offering you a custom solution that will help you make the most out of your business this year and beyond. AG has been recently awarded the Singapore 500 SME Award 2018. AG is a group of professionals with more than 10 years of audit & accounting experience in various industries. AG has a high customer satisfaction KPI of 96.5%. Cost-effectiveness, efficiency and good customer service underlie the core value of our services to you. AG is proud to be shortlisted by Enterprise Services Insights Magazine as one of the 10 Most Recommended Financial Services Providers. AG has a strict company policy that requires our teams to reply your enquiry in 24 hours. The audit conducted by AG Singapore was done in a very efficient manner. John and Kean Seng clearly spelt out what was required and had a firm grasp of our business model even though it was their first year auditing us. All the pre-agreed timelines were met, and we were able to complete our filing on time despite us engaging AG quite late. It is our best choice to engage AG Trust to help us in setting up our new organisation in Singapore and Malaysia. Working with AG Trust always give me a peace of mind. They are committed in supporting us from time to time and their professional services are insightful, timely and highly appreciated. John from AG has been providing us effective solutions to our group in Singapore over these few years. He enables us to streamline the group structure and reporting process which maximised the group performance. We highly appreciate John’s working relationship with us for giving us his professional advice and valuable solutions whenever we need without delay. I strongly recommend his excellent service. The great professionalism as well as the speed of reply are very much appreciated. We first started out trying to look for someone to assist us with the audit process and I sent an email not expecting a response within a day. The next thing I know, I got a call from Gary of AG to understand more of what our requirements were. As the day progressed, I got emails and calls from Gary advising me how to go about to meet all the requirements and that was indeed very helpful. I would like to thank John, Managing Partner of AG for responding to our request of his audit services efficiently. Great professionalism! AG provides us a lot of useful information, knowledge and valuable benefits.I strongly recommend AG to all business owners. Contact us and we will reply you in 24 hours.